This week, we've been practising our letter recognition and the relationship between upper and lower case letters. One of T's most favourite things is to empty out all the scrabble (or similar game!) tiles and asks me to write a word and he copies, this he can do no problem now so I thought I'd extend it now by using this little printable where I've typed words in lower case to allow him to match. 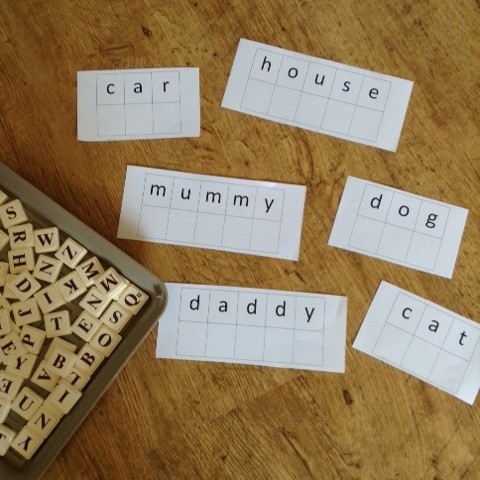 If you would like to try this activity yourself, I've created a pdf which you can download and print out, you will need to fill in with your own words, which can either be done by hand or you can covert to word. Of course this is not necessary for the activity as a handwritten version would do just as well! Download here. Great idea. 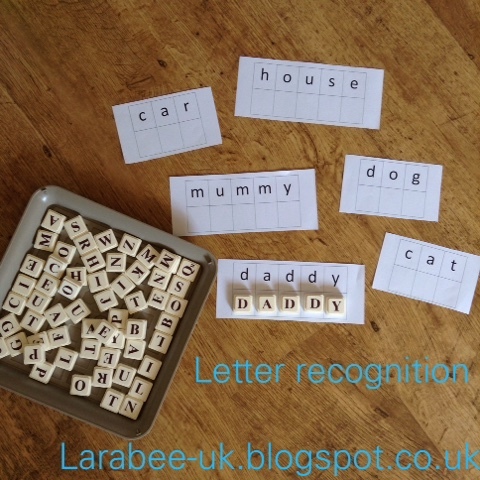 Going to have to keep my eye out for Scrabble set for when my LO starts to learn her letters! Thank you x we inherited 3 different sets from my grandparents which was lucky! Great idea for when my daughter is older. Can T do this! Jenson only knows the letters on his name and he tarts school in September SH*T! Im gonna have to get on it this summer!! !